The new DT80M Universal Input Data Logger Series 4 version has increased sampling speed, measurement range and programmable analog output. The DT80M’s perfect balance of performance with low-power also allows you to use a smaller solar panel without compromising on functionality. Set up sampling, logging, alarm and control tasks to suit your own requirements while interfaces for smart sensors, GPS, and other intelligent devices expand the DT80M flexibility. Forget traveling long distances to get your data. Utilize the DT80M’s automatic data delivery features to schedule your data to be automatically emailed to your inbox every day, week, month or other time intervals. 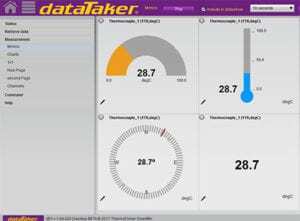 The DT80M is configured directly in your web browser using dataTaker’s dEX graphical interface. 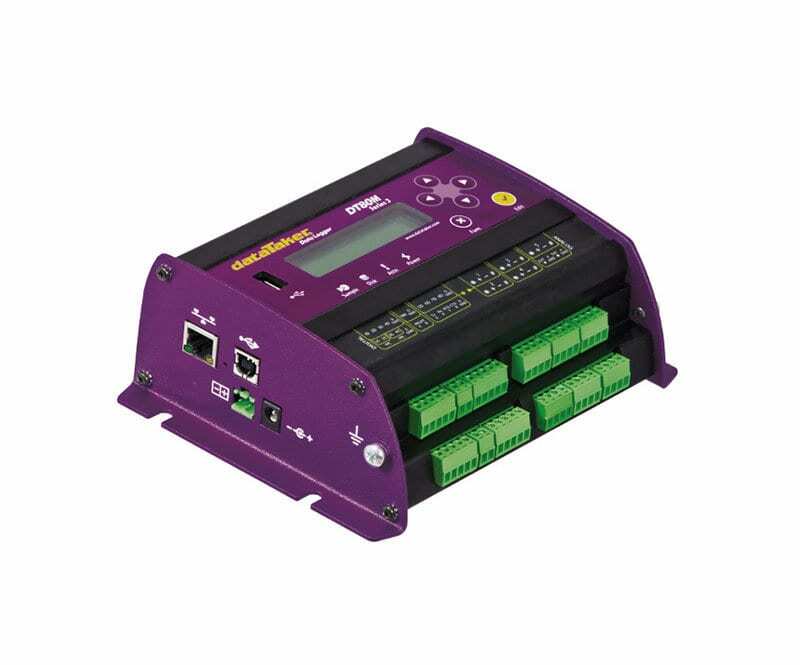 dEX takes you through the configuration of your logger, showing you wiring diagrams and allowing you to decide – in as much or as little detail – how you want the system to work, suiting both novice or advanced users. Read how the DT80M universal input data logger was used for building a weather station. Fundamental Input Ranges The fundamental inputs that the DT80M can measure are voltage, current, resistance and frequency. All other measurements are derived from these. Modbus Client (master) Read/write data from modbus sensors and devices including PLC’s, dataTaker loggers, modbus displays, etc.